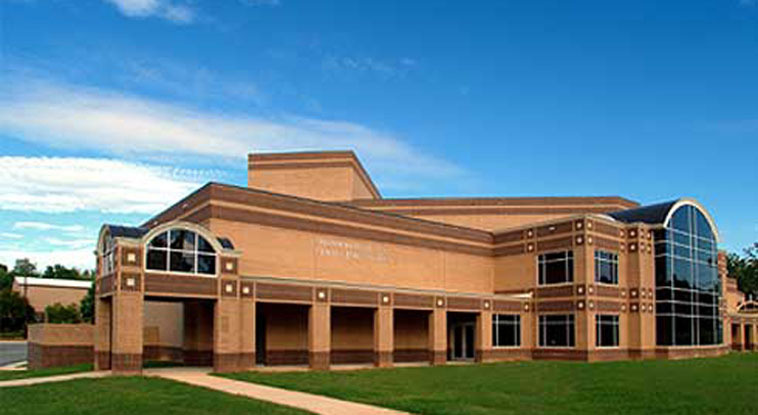 The Linda Sloan Theatre is an attractive and versatile venue for performance and education located in one of the United States' fastest-growing areas. Created by Calloway Johnson Moore & West (CJMW) -- long known as one of the region's most respected firms for design of performance spaces -- the structure features a striking entrance hall and a 600-seat proscenium theatre. 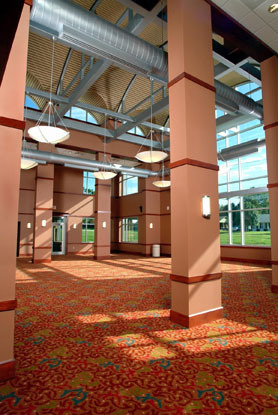 Full-height, street-facing windows showcase the dramatic lobby, which hosts community meetings and local events, in addition to inviting visitors within for performances. 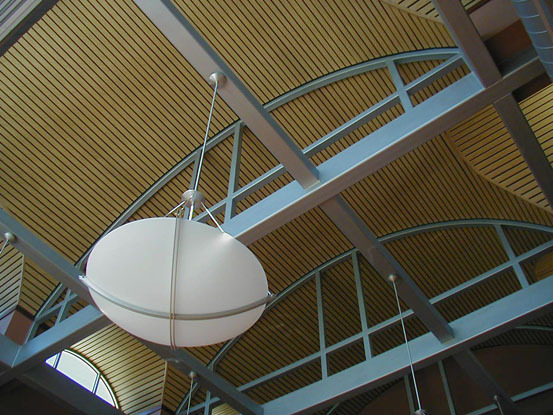 The space's soaring wood-veneer ceilings from Hunter Douglas added measurably to its look and functionality, according to architect Andy Sykes, CJMW's project designer. "It was the perfect happy medium for a client with exacting standards, but a limited budget," he says. "We were able to get the visual warmth, the rich texture, and the acoustic qualities of real wood without breaking the bank." The building is named for Linda Sloan, the school's director of drama, who was a major force behind its construction and is now perhaps its biggest fan. "Everyone who walks into the theatre is awestruck by how beautiful it is," she says. "And what is more important for those of us working there, it is a dream to work in."